It turns out “Fox Square” is not only a reference to an outdoor public space — but it’s also a reference to the shape of the outdoor studio setup the network built. 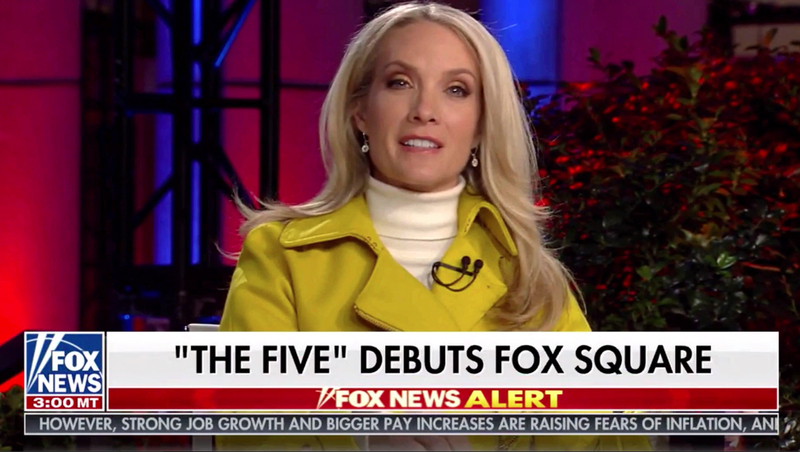 The network officially unveiled the main Fox Square studio during a special Sunday edition of “The Five” Sunday, Nov. 4, 2018. The outdoor venue boasts a square platform with metal trusswork supports with wraparound video ribbons and oversized printed graphics above, designed by Jack Morton Worldwide. 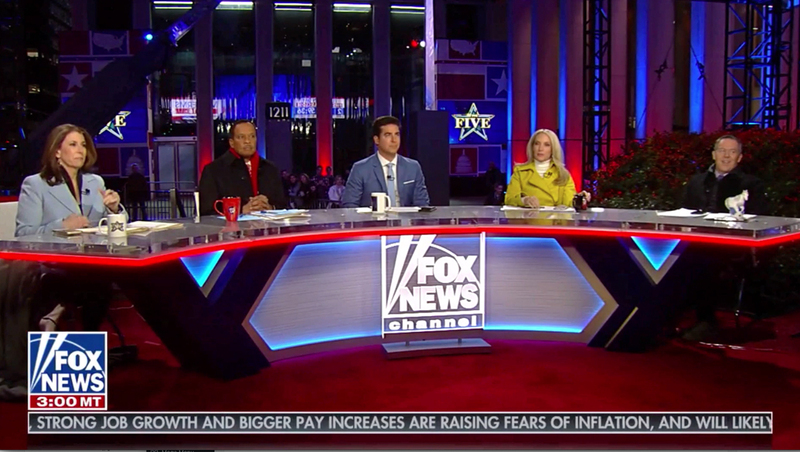 ‘The Five’ hosts sat a very wide anchor desk with thick black supports, a silver, edge-lit with a freestanding glass Fox News logo in the middle. 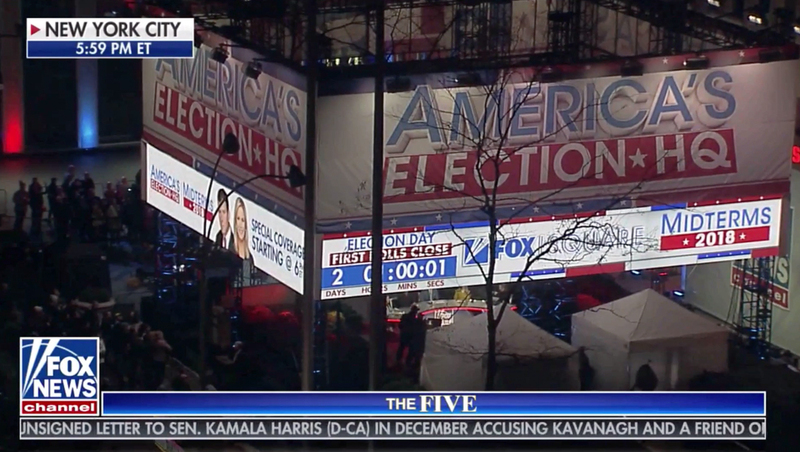 The LED video ribbons were used to promote upcoming coverage and a countdown to first poll closings. 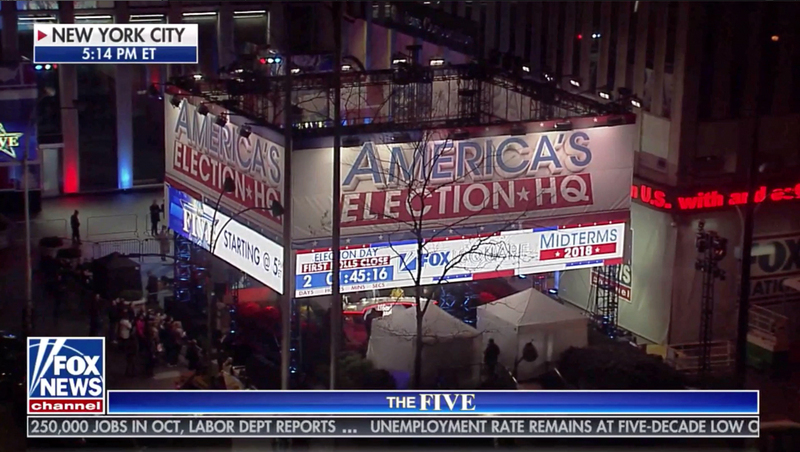 The graphics here and on the printed graphics above match the ‘America’s Election HQ’ look the network debuted in June.